The start of a new year always leads to new trends in apparel design and print. Fashion trends evolve and change quickly from year to year, and in some cases, even season to season. To stay ahead of the competition and keep your apparel designs fresh, you have to stay on top of latest trends. Triple-Trendy: Using multiple fonts, reverse-cutting, and no-hole letters are all on-trend these days. One of the overarching trends from 2017 is typography, the art and technique of using text to create a design. As part of this trend text designs using different fonts including script, bold, and thin fonts to make a cohesive design are rising in popularity. Using bold fonts, the center of the letters are left whole so there are no holes within the text. With this design style, there is no need to weed out cavities with heat transfer vinyl, saving you time in production! Another design trend made a rise in 2017 is the reverse text design. This design trend is achieved by punching out or reverse weeding the text from a shape such as a rectangle or circle. Keeping with the idea that less is more, thin text fonts and open negative space is trending for designs on thin, lightweight garments to achieve a soft, light feel. Splitting text is another popular typography style that allows you to create designs from text artwork. With this design style, the text is split to create a unique design element. This can be achieved by splitting the text with colors, horizontal or diagonal lines to create a split font. This fashionable design trend known as “Boho-chic” or Bohemian features a lot of cool images like feather, flowers, arrows, antlers, animals and colorful patterns within the design. These bright, fashionable elements can easily be added into spirit wear, dance, or graphic logo designs. Everything old is new again and retro, vintage styles are making their way back into fashion trends for 2017. Distressed effects added to text and designs will pair well with new, retro garment styles. While this garment decoration isn’t exactly a new trend, glitter finishes will remain strong in 2017 for spirit wear, children’s apparel, and retail designs. Try mixing glitter with other unique finishes, like matte colours or bold metallic shades of foil. Trending ahead of glitter for the first time, metallic and foil prints will pop up on everything in 2017 from sportswear and spirit wear to graphic logo tees. 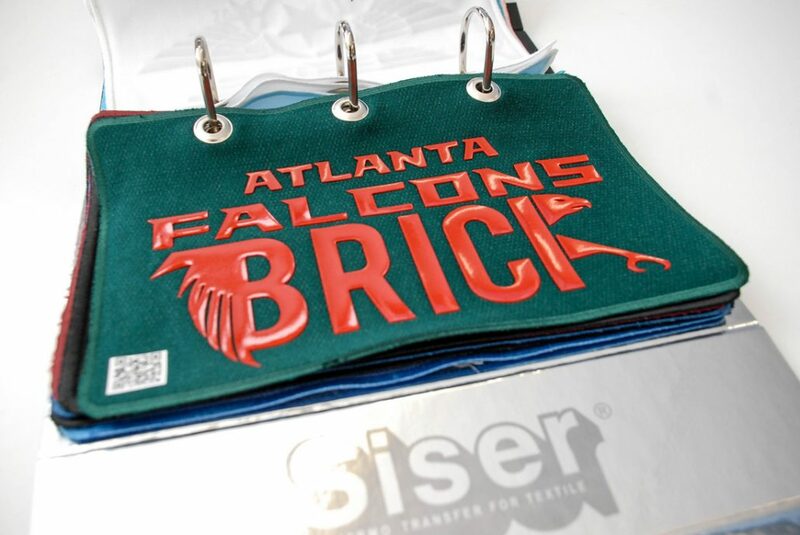 Expanding the trend of foils and metallic, creating mixed media prints with matte and metallic finishes can create exceptional effects on apparel that stand out from the competition. Tonal prints got their start in 2016 but will really take off this year in sportswear and streetwear inspired designs. One very popular way to achieve a tonal effect on a shirt is to pair a black heat transfer on a contrasting black garment. Try mixing unique effects like the semi-gloss finish or the matte finish to create understated, tone-on-tone prints. Where are you currently printing your logos on apparel? 2017 is the year to take a look outside of the box to print locations such as sleeves, wrap-around, lower front and lower back placements. Looking forward to see what the fashion industry has to offer for 2018. Adhesive vinyl in winter. Things to consider! Terralon – the Earth’s best wallcovering! Hey Buddy!, I found this information for you: "Looking back at heat transfer printing trends of 2017!". Here is the website link: https://www.seldenrod.co.za/looking-back-at-heat-transfer-printing-trends-of-2017/. Thank you.